That darn Groundhog might have actually been right for a change! After all of the cold and snow we are actually getting an early glimpse of sun and spring! To celebrate we would like to do some posts on things to do to brighten your everyday! We will post ways to make normal days feel a little more exciting and fun! Grab a tablecloth or throw; we think (of course) you should pick one of our awesome vintage reproduction tablecloths, pack a lunch, and throw in some cute striped Paper Straws, and our adorable Poptop Bottle Opener, and you are good to go! No matter how old you are, there's just something about having a picnic that makes you smile and makes you feel like you don't have a care in the world (other than avoiding the ants and the occassional over zealous dog).....In honor of all things picnic, we would like to do a Brighten Your Day Giveaway! 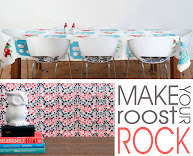 Our tablecloths are perfect to throw over any table to add style and a little bit of retro funk. We can't guarantee the ants won't love it too, but we can guarantee you will be the envy of all park goers! Includes: 1 Boxsal picnic box, 1 compostable trash bag, 8 recycled napkins and 4 each of the following compostable items: trays, large bowls, small bowls, utensil sets, cold cups. All you need to do to enter is comment on this post! If you like us on facebook, follow us on twitter, or follow our blog, you can add an extra comment letting us know, and you will get an additional entry into the giveaway! Giveaway ends next Monday, Feb. 28th. Good luck, and happy picnic-ing! I LOVE your shop! I am going to order some items for my daughters upcoming birthday party!! PS-I also follow your blog on google reader! I will like you on fb too! Love you shop! So happy another blog led me to you! I love the picnic box. so cute! ooh i love the urban lunchbox! So fun. I like you and not just on facebook! Love the urban picnic box! Can't wait for summer picnics. like you on Fb and follow your blog. :)Love your shop! How lovely, thanks for the opportunity! Just found you on Ucreate and have fallen in love! I'm a FB follower as well! Such a great idea! I can't wait for nice weather for picnicing! I'm a new follower and I love it! Those are so great! I love House 8810! Spring is coming, how about a picnic!! 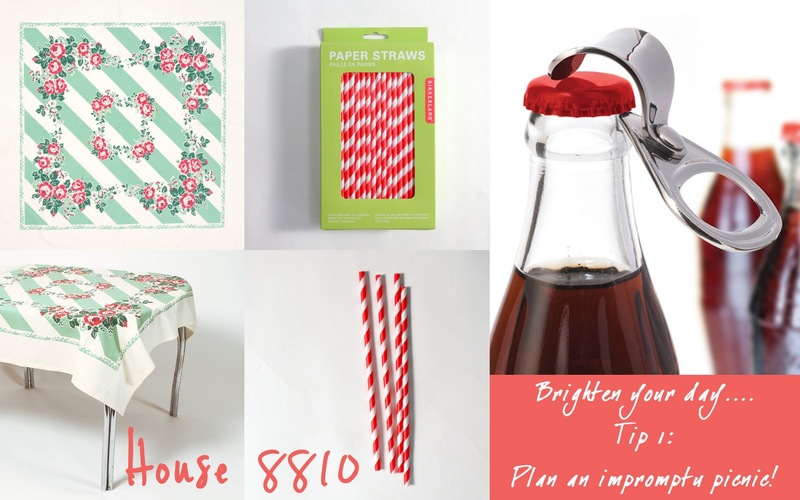 Love love love the picnic idea...now if we could only break out of the 30s...;) - come on spring!!! Love your shop!!!!! You guys rock! Follow your blog & your tweets! Love your store, found it by way of a friend who's wedding I photographed in January! LOVE your DIY projects!!! I follow you on fb too! pick me, pick me! cheers! I love everything you sell! I also like you on FB. Thanks!! I need a picnic today! What a day brightener it would be. This is such a great idea!! I am waiting for the glare ice to leave Halifax before I can have a picnic... hopefully it will be gone by May. love it love it love and the tablecloth melts my heart. and I love the tablecloth! Great Giveaway! I follow you on twitter and facebook now!! ♥♥♥ your shop...and oh how i need a picnic day! I also am in love with your vintage vibe, and your blog is ever so cute! I am already a fan on Facebook. no sun. supposed to maybe hit 35 today. I follow you on Facebook and LOVE everything in your shop! Love just about everything on the site. The table clothes are divine. I follow you on fb! Love everything! Also I see that the fans have grown a lot! I like you on FB! I posted a comment there a while ago, as I did a blog about your site... love it still! ;-) AAAAAND I love picnics!!!! Just discovered you! Instead of a Christmas list this year I'll just give everyone your link! I liked you on fb! Mrswaxler(at)yahoo(dot)com. I love this tablecloth! So cute and vintage!!! So many great gifts in your shop! Love it all! Your shop is great!